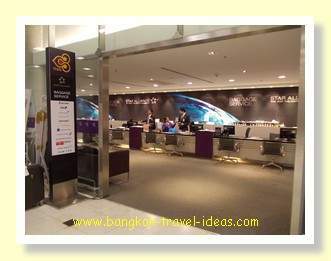 (If you have come to this page because you experienced lost baggage in Bangkok Airport then you will want to know how to recover your lost baggage in Suvarnabhumi Airport and not about my experience of leaving my phone on the aeroplane). Before going in the Bangkok Lost Baggage Office and knowing that I hadn't walked far, I set about retracing my steps. First I went to the toilets and then back to the Bangkok Immigration counters, but my mobile phone was nowhere to be seen and of course I couldn't go beyond the Immigration counters. So after the quick look around I went into the Bangkok Lost Baggage office that is run by Thai Airways and made a report of a lost mobile phone. The office had a lot of staff and not many customers when I arrived. I told the service agent the Thai Airways flight and my seat number and the lady immediately phoned to the cleaning crew on the airplane to let them know. After a few moments a phone call came back to say that they had located my mobile phone on the aeroplane near my seat. I was so relieved that it had been found. Anyway the service agent was very helpful and said that it would be about 20 minutes before the phone could be returned, as they needed to finish cleaning the plane first. I was asked to go and take a seat on the comfortable sofa at the end of the office, which I did. It is not like me to lose things and I could only think that the mobile phone became dislodged from my belt as I reached to get my bag out of the overhead locker. Whilst I was sitting waiting in the Bangkok Lost Baggage Office I noticed there was a constant stream of people coming in, who had all left things on their aeroplane. One guy had changed seats on his plane and so his boarding pass had a different seat number to where he actually sat and he didn't know the seat number where he had move to. He had lost his wallet, but they didn't know where to go and look. I thought to myself, "Always take note of your seat number if you change seats for any reason". Luckily I have a seat map of each aircraft that I keep with my tickets. I use it at check in when I need to select a better seat, but I guess it would be equally useful if I ever moved seats and lost something. This wasn't the first time that I had been in the Bangkok Lost Baggage office. I had been in one time before when my suitcase had been lost when travelling between Bangkok and Beijing. On that occasion I had asked to look around the lost baggage storage facility to see if my suitcase was by chance sitting on a shelf. Anyway after about 20 minutes of waiting on the sofa a young man came in with his hands full of lost items from my flight; he had cardigans and pullovers, papers and a couple of phones. I was beckoned over and was asked to sign some paperwork, which I dutifully did and they took a photocopy of my passport before handing over my mobile phone. 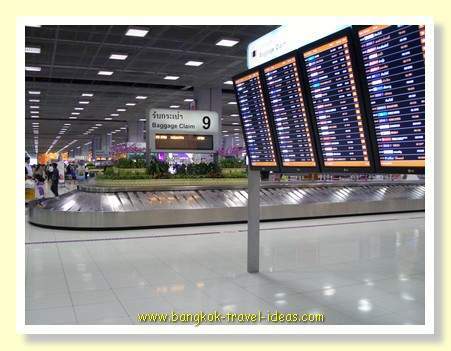 If ever you leave something behind on the aeroplane or your baggage does not come off the baggage carousel then you need to go straight to the Thai Airways Baggage Office located next to carousel number 8. The staff are extremely helpful and will do their best to return your property to you. 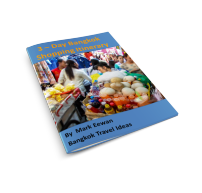 This day the staff in the Bangkok Lost Baggage office had really saved me from having a big problem. Feeling like a weight had been lifted from my shoulders I walked towards the Customs area and quickly slipped out. Not that I had anything to hide, but it was still pretty early and it all looked fairly sleepy at that time in the morning. Outside of the Thai Customs inspection area were the same familiar faces of the hotel greeters. These guys and girls seem be meeting hotel guests from early morning to late evening. No matter what time my plane lands at Suvarnabhumi Airport the same people seem to be representing the various 5-star Bangkok hotels. It must be a very long day for them. Continue reading my Thailand Travel Diary to find out how I went from Bangkok Airport to Pattaya or just continue reading about my visit to Pattaya, Thailand by following the links below. 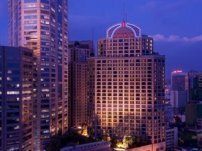 Thinking of booking a Pattaya Hotel? 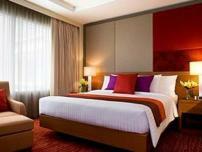 Read my review of this 5 star hotel in Wongamat Beach, North Pattaya. 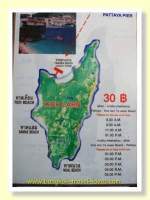 Swim in the pool, scare yourself silly on the waterslides or just float on a raft along the moving watercourse.